Of the 6,000-odd exhibits in carefully arranged cases in the newly renovated Dr Bhau Daji Lad Museum, one stands out to symbolise Mumbai, past and present. Simply titled 'Mumbai Communities', it showcases wooden dolls, men and women from the myriad communities that made Mumbai the cosmopolitan city that it was even in the early 20th century. So you see representations of native communities, but also those from migrant and foreign communities. The large case, occupying pride of place on the first floor of the museum, is a gentle reminder that Mumbai was not, and can never claim to be, the predominant domain of any one community or class—linguistic, religious or professional, rich or poor. Tucked away on the first floor is another case of exhibits—little clay models showing various occupations that characterised the city. 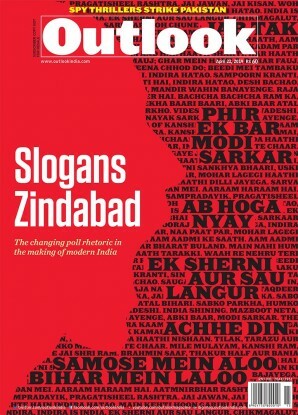 Amongst a host of occupations that drove the informal economy are "street vendors", as significant to the city today as they presumably were when it was first founded; "thugs" which shows that extortion in some form or the other has been as much a characteristic of the city as its industriousness; and "battiwala chowkidars" who later transformed into night beat-cops or lately private securitywallahs. Down the passageway is another set of meticulously restored exhibits—one showing a surface drainage relief map of Bombay circa 1882, another one with the first-ever textile mill set up in Worli, with a companion relief map that shows the entire central Mumbai stretch of textile mills as they developed and created the impetus for the city to grow, and a fourth relief map circa 1934 that details tramlines, roads and trainlines in the then commercially-expanding city. The Bhau Daji Lad Museum, Mumbai's oldest, and owned by the Municipal Corporation of Greater Mumbai, had in the past decades been in sad decline and has just reopened after an ambitious restoration project that won it the prestigious unesco Heritage award. Situated among the once-lush surroundings of the Jijamata Botanical Gardens and Zoo, it was set up in 1855 and opened to the public two years later. The structure is a Palladian design built in the grand Renaissance revival style, with fine stucco and stencil work embellishing the ceilings and walls inside. 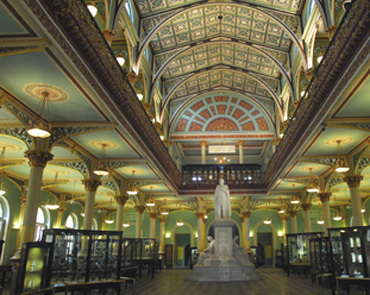 The museum's corpus of exhibits dates from the time India was invited to send exhibits and artefacts to the great European industrial and arts exhibitions in the mid-19th century. Those sent from Bombay included industrial items, implements and designs, as well as Bombay School paintings and a variety of objets d'art representing the best the city had to offer. Each item sent to Europe was replicated and kept as a record in this museum, then named the Government Central Economic Museum, and re-christened in 1872 (after the London counterpart) as the Victoria and Albert Museum. Industrialists - philanthropists - scholars Dr Bhau Daji Lad, Sir Jamsetjee Jeejeebhoy and Sir Jagannath Shankarseth were the founders, along with British curators George Buist and Sir George Birdwood. Gradually, the collection turned out to be an impressive one, while also providing a visual record of Mumbai's economic growth and artistic development. Decades later, the municipal corporation named the museum after Dr Bhau Daji Lad and, as is its wont, promptly forgot about the treasures it was in charge of. By the turn of the 21st century, it was a derelict building, parts of it propped up by cement blocks, with dusty exhibits in broken cases and a solitary tubelight hanging overhead, tattered Persian carpets and decaying rare manuscripts, rodents keeping company with the untrained civic staff in charge of its priceless treasures. By 2003, it was closed to the public, and INTACH (Mumbai), chaired by art historian and conservationist Tasneem Mehta, was awarded the restoration project. "By no stretch of imagination was the museum an easy assignment," says Mehta after years of painstaking work, controversies and hostility from the Shiv Sena-led civic corporation. "I wanted to do more than restore. This is Mumbai's museum, I want it to touch the lives of people here, begin interactive outreach programmes and so on." The restoration effort includes that of a rare 17th century manuscript of Hatim Tai. Mehta, along with architect and conservationist Vikas Dilawari, first restored the building, taking care to bring out the best of the design while ridding it of the ugly blue and green "government" paint. Then, her conservation team got down to the job of repairing, restoring, cataloguing and arranging the thousands of exhibits. The intellectual challenge, she says, was to present the collection while narrating the story of Bombay, and making room in it for exhibits such as the dioramas and models of the Meenakshi and Kashi Vishwanath temples, as also Persian artefacts and Yerawada jail carpets. Resources ran out. That's when the Bajaj Foundation stepped in with an initial commitment of Rs 2 crore to match the civic outlay. The first floor Mumbai gallery and the special exhibitions gallery have now been named after the donor. But even as accolades pour in from museologists all over the world for the massive restoration effort, as well as for the public-private partnership that funded the restoration, issues are being raised over the control of the museum itself. For now, the ownership continues to vest with the municipal corporation, with a tripartite agreement between the corporation, INTACH and the Bajaj Foundation detailing roles and functions. Accordingly, a new 19-member management trust was created with 10 members from the corporation, six lifetime members to be appointed by INTACH and three lifetime members from the Bajaj Foundation. This trust, chaired by the Mumbai mayor, has corporators and bureaucrats as also art historian Pheroza Godrej, filmmaker Shyam Benegal, solicitor Pradip Shah besides Mehta herself. Rahul Bajaj, Niraj and Minal Bajaj represent the Foundation as donor trustees. "This is a unique public-private partnership in a restoration project," says Mehta, "all the parties are satisfied and I would like this to be a trendsetter." Not everyone is convinced. There are apprehensions that the museum and the priceless wealth it houses have been handed over to private managers, especially since the municipal corporation recently created a corpus with Rs 10 crore, to which the Bajaj Foundation added Rs 5 crore. "The structure is such that real control and management will be in the hands of the nine permanent members of the trust because the BMC representatives on it will keep changing," says social activist Shailesh Gandhi who elicited information about its management through Right to Information applications. "This after the municipal corporation—which means the people of Mumbai—has donated Rs 10 crore, plus Rs 2 crore. Also, the exhibits haven't been valued before handing over the management, which is inappropriate. I am concerned about public wealth passing into private management." Gandhi has a point. Mehta's appointment as the managing trustee and honorary director of the museum, establishing the INTACH conservation lab and documentation centre in the museum building, has deepened public anxiety. Mehta asserts the fears are unfounded. "I am here, nothing will go wrong. This is Mumbai's museum." she says. Still, the Shiv Sena is watchful. Says Ravindra Waikar, party leader in the corporation, "We will keep a close watch." Unfazed, Mehta has recruited trained professionals as museum staff. Her colleagues have also restored a 17th century rare manuscript of Hatim Tai and are busy replicating the process with the insightful 18-volume Textiles of India. Undoubtedly, there's plenty of public money—and therefore public stake—in the museum and its corpus. Private funding and expertise pushed the restoration process. Fitting for a museum that was founded by the then 'Government of India', aided by private donors. Dr Lad may not have asked for representation then, but times have changed. Besides everything else, the museum is testimony to this too.